As my readers know, I love to participate in jewelry challenges and today the challenge is hosted by Allegory Gallery. I received a gorgeous kit full of vintage glass, Lucite and labradorite chips. I had grand plans on making a bracelet but my fibro decided to step her way in. So thing knotted or wire wrapped. 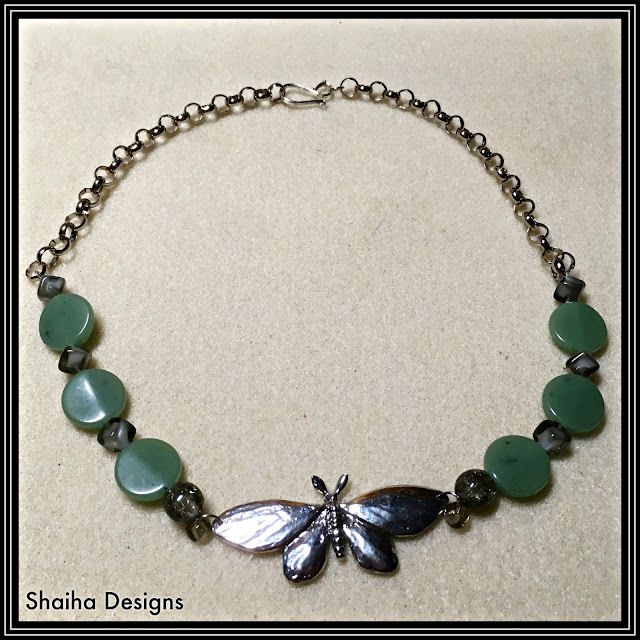 Instead I went with stringing and used the vintage glass from the kit along with some vintage plastic and a beautiful pewter moth pendant from Green Girl Studios.